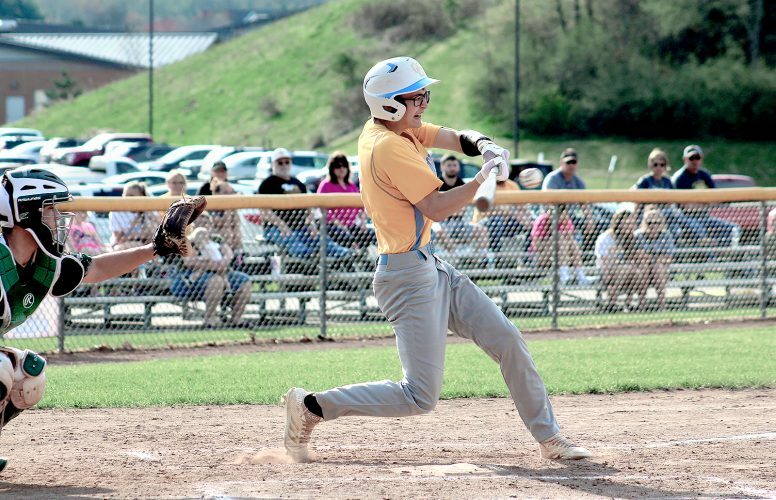 MOUNDSVILLE — Monday’s victory at perennial West Virginia Class AAA power Morgantown did more than increase the number in John Marshall’s victory column. From a mental standpoint, it was the first time the Monarchs knocked off the Mohigans in seven years — it was monumental. Coach Brock Melko’s club used the momentum gained as a springboard Wednesday night at the John Marshall Field House on senior night against Weir. Shay Straughn scored 31 points and all eight Monarchs (12-4) who played dented the scoreboard in a 72-40 victory against the Red Riders. “To go down there and win on (Morgantown’s court) … I was excited and I was nervous because I was kind of thinking that should propel us to another level,” Melko said. “The challenge was, and I told them this before the game, is that we’ve got a lot of exciting things coming up, so it was take the challenge of one game at a time. We’re looking good to get into the OVACs and we’ve got sectionals and hopefully regionals, state and all that. Melko didn’t have to test that theory. Straughn hit her first six shots as JM raced to a 12-0 lead. The half ended with the Monarchs in the lead, 46-18, and with Straughn, who finished 13 of 22 from the field, scoring 19 of her team-high total. “It’s hard to win if you’re playing a team that’s shooting like that,” Weir (3-11) coach Rick Stead said. “We don’t shoot well and we haven’t shot well all season. John Marshall, which has won 11 of 13, shot 41 percent from beyond the arc, including a game-high four makes from Straughn, who also finished with seven steals and five rebounds. And even though she gets the headlines, it was a team effort. Like five points and eight rebounds from Kaitlyn Groves, eight points, five assists and three steals from Abby Blake, who picked up the slack for twin sister, Anna, who missed the game because of illness. “Kaitlyn Groves, an hour before the game I wasn’t even sure she was going to play because she was sick,” Melko said. “Having all eight girls contribute makes us harder to guard and harder to game plan against. “Megan, if you could have been (at Morgantown) on Monday. 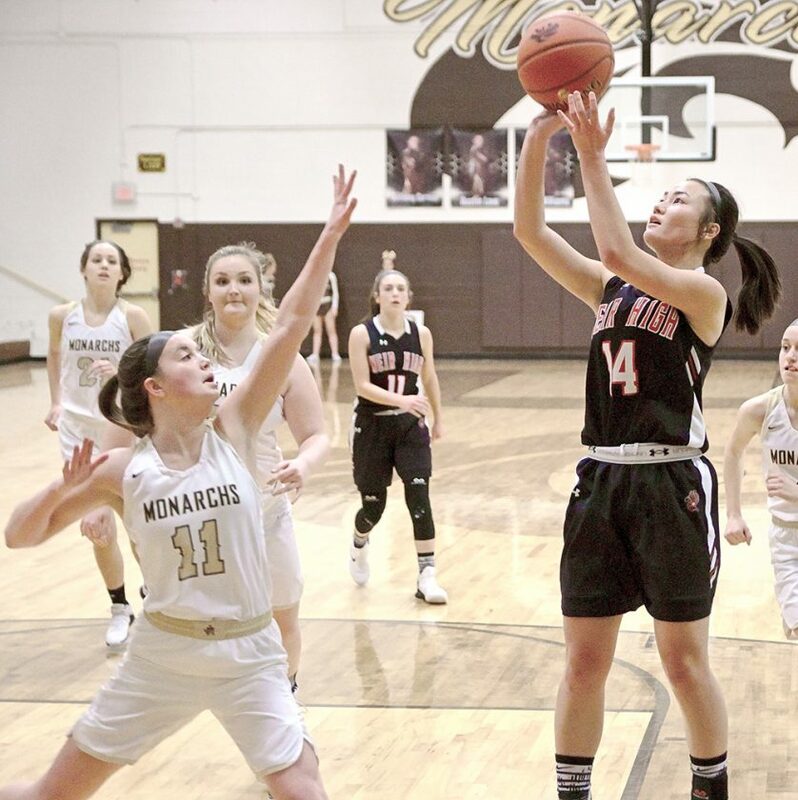 The mental toughness she has shown … there have been games throughout the year where she hasn’t played or played a minute or two, and as a senior that’s got to be extremely hard and she hasn’t complained one time. The Monarchs continued to pour it on in the second half. “When I get into foul trouble I don’t have a very deep bench,” Stead said. “We tried to pack it into a zone and then they shot the lights out. Sophia Mikula led the Red Riders with 12 points, six rebounds and three steals, while Isabella Aperfine added 12 points, five rebounds and four assists. WEIR HIGH: Fuscardo 1-12 2-6 5; Mikula 5-18 3-6 15; Aperfine 6-14 0-0 12; Gianni 2-4 0-0 4; Nutter 0-2 2-2 2; Vuiller 1-4 0-0 2; Sartor 0-0 0-0 0; Bernola 0-2 0-0 0. Totals: 15-56 7-14 40. JOHN MARSHALL: K.Groves 2-6 1-2 5; Ab.Blake 3-8 0-0 8; Straughn 13-22 1-1 31; Stocklask 1-6 3-4 5; L.Groves 2-8 0-0 6; Helms 3-6 0-0 8; Hunnel 2-5 2-2 7; Blair 1-1 0-0 2. Totals: 27-60 7-9 72. 3-POINT GOALS: Mikula 2, Fuscardo; Straughn 4, Ab.Blake 2, Helms 2, L.Groves, Hunnel.